Many Chapters find it useful to maintain an ongoing strategy for inviting new visitors. 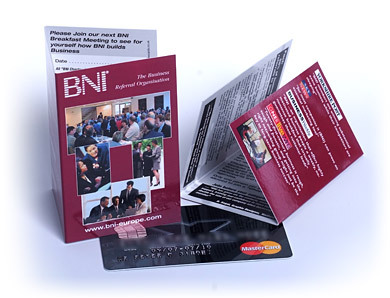 The BNI Mini Invitations can form part of that strategy. Being credit card size they easily fit into a wallet, purse or card holder. They can instantly present the BNI story and introduce potential visitors to basic facts and testimonials. They can include your Chapter contact details and website, and can even have a location map to help visitors find your chapter more easily. 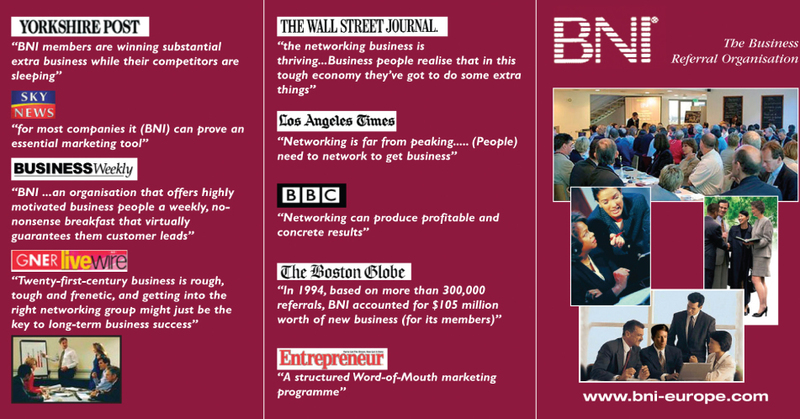 The BNI Mini Invitations instantly add credibility to BNI, which can be particularly helpful for new members, or any existing members who may be great at what they do but don't find it easy to invite. As BNI members we often find ourselves in other networking situations. 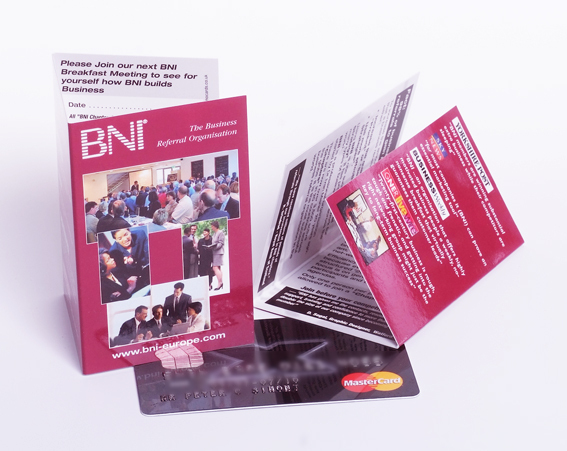 When appropriate, you can make a BNI Mini Invitation in a 'flash' and give it out with your normal business card. You can then follow up by contacting that person by email and phone. 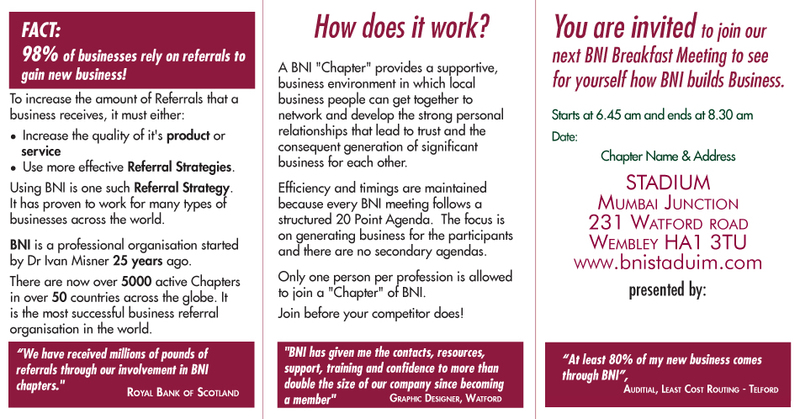 The BNI Mini Invitation can actually be a good way of keeping in touch. 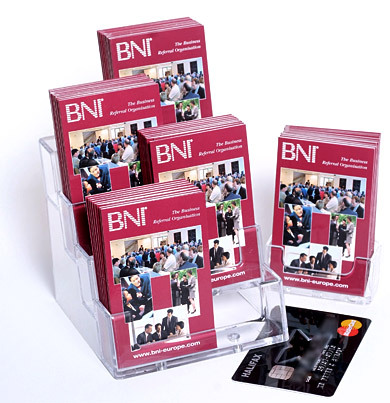 he BNI Mini Invitation is a great tool for inviting owners of any local businesses that have a shop front. You can simply walk in, introduce yourself and invite them to a networking breakfast. 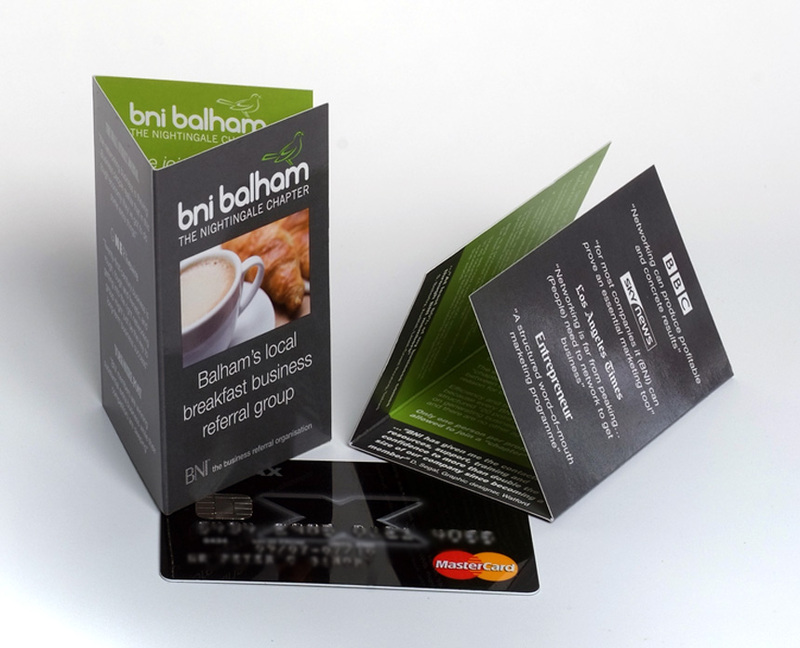 Then you can give them the BNI Mini Invitation along with your own business card. Some people may not wish to come to breakfast but may be interested in your business. Some may be interested in both. When speaking to a local business, why not ask if you can leave a dispenser containing a few BNI Mini Invitations near reception areas? You may find it particularly effective to keep a dispenser at your own BNI venue, or at sports clubs and health clubs. You could also leave dispensers in strategic places in your own business or, if appropriate, in local businesses where you have developed a relationship with the owner.